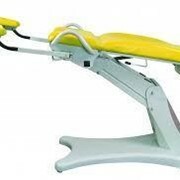 Ideal for medical analysis laboratories, the Promotal medical blood sampling chair provides all the satisfaction of equipment adapted to your needs whatever model. 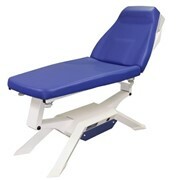 Ideal for medical analysis laboratories, the Promotal medical blood sampling chair provides all the satisfaction of equipment adapted to your needs whatever model. 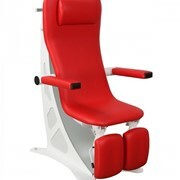 The reclinable backrest and foot cushion aid patient relaxation, whatever model you choose (Fixed/variable height; electric/hydraulic) The foot cushion is available in a manual version (independent from the backrest) or in an electrical version (combined with the backrest). 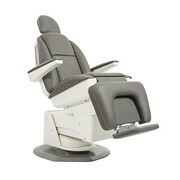 The exclusive 80mm thick upholstery ensures maximum comfort for your patients. 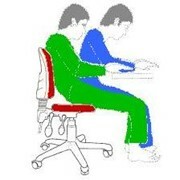 The 2 armrests allow examinations from the left or right, depending on your preference. 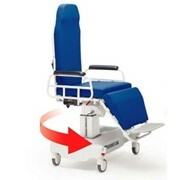 The reclinable leg-rest is available in manual (independent) or electric (combined with the backrest) versions. 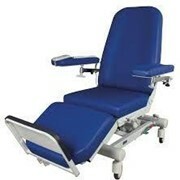 It enables easier recline to the emergency position. 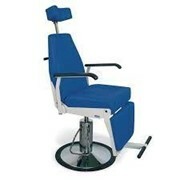 With its large flexibility, the Promotal traditional sampling chair offers the possibility of enlarging your activity. 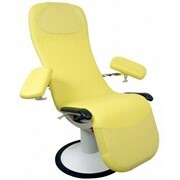 Transform your chair into an examination couch by aligning the backrest, seat and foot cushion. 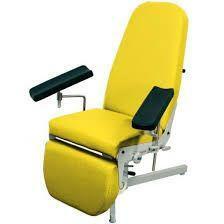 Carry out an gynecological examination or sample by using a pair of stirrups or leg-rests as accessories. 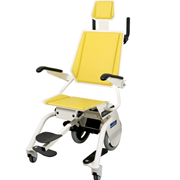 By choosing the Promotal sampling chair, you ensure the quality and more than 50 years of experience from the market leader. 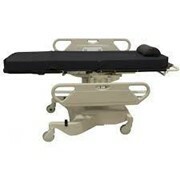 The possibility of transforming the chair into an examination couch, by aligning the foot cushion, seat and backrest allows you to carry out a general examination or rest the patient. 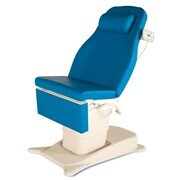 Patient weight capacity up to 200kg, fixed (50cm) or variable height (depending on the model, from 57cm to 77cm for the electric version, or from 52cm to 80cm for the hydraulic version), smooth motions, comfortable 80mm upholstery, instruments tray as an accessory... this medical chair is 100% dedicated for blood sampling. 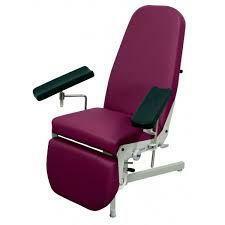 It also offers the possibility of adding a pair of leg rests or stirrups for gynecological examinations. 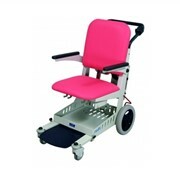 Configure today the chair which meets your needs and choose from more than 18 colours.